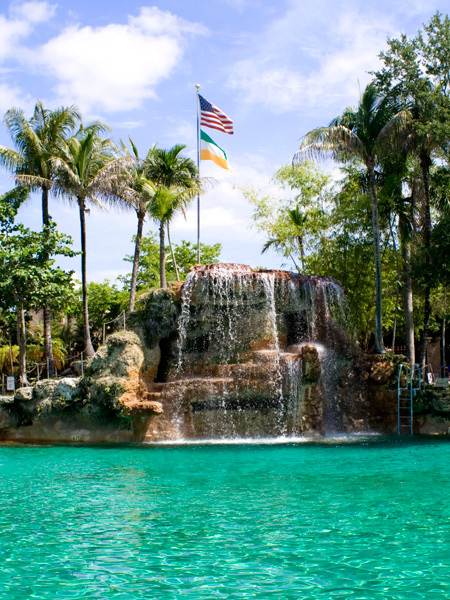 In keeping with George Merrick’s vision for a Mediterranean aesthetic in Coral Gables, the 820,000-gallon pool recalls design features from the Venetian Lagoon in Italy. 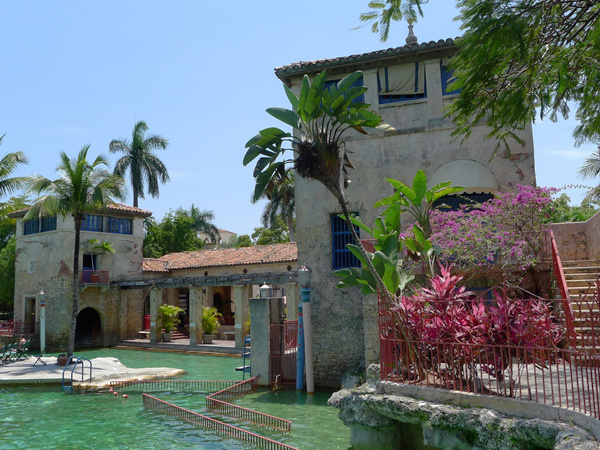 Constructed from the original quarry that supplied oolitic limestone for the construction of many of the suburb’s ornamental entrances and buildings, the Pool opened in 1924 as the “Venetian Casino.”Artist Denman Fink transformed the former industrial site into a four-acre picturesque park for public recreation. 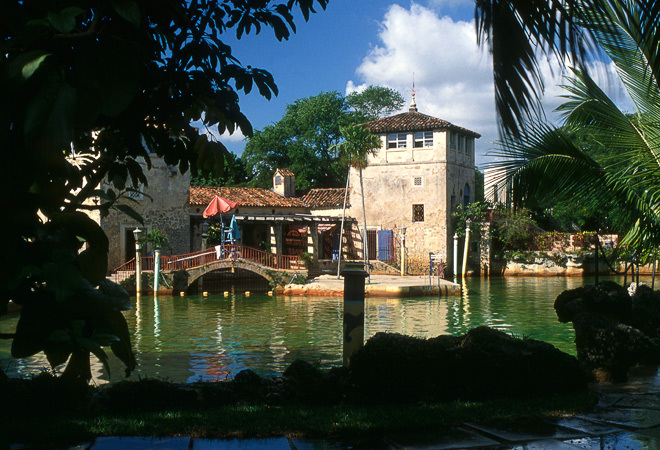 In its early years, the Pool featured gondolas imported from Italy, a high-dive platform, and performances by big band orchestras. 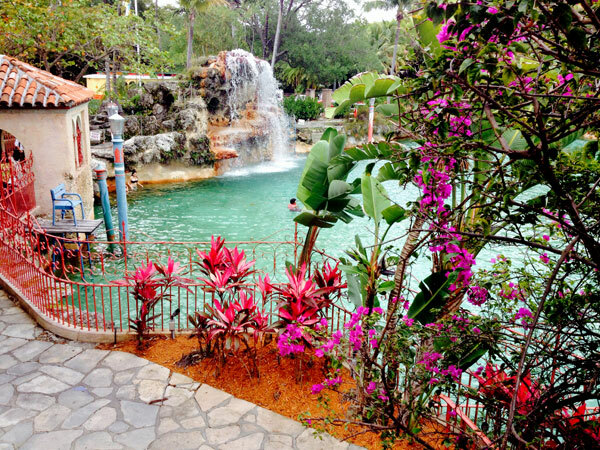 The Venetian Pool, ranging from 4 to 8 feet deep, features an island, two waterfalls, and a grotto. 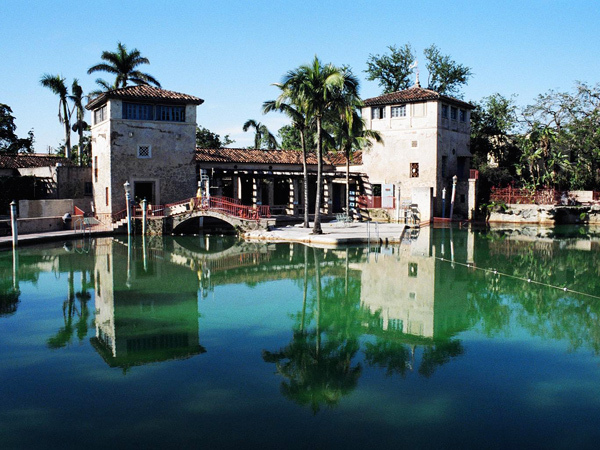 Two three-story observation towers, accented by barrel tile roofs and porticos, are linked by loggias and provide views of the surrounding Coral Gables community. A Venetian inspired bridge connects the limestone encrusted pool edge with the sandy island vegetated with palms. 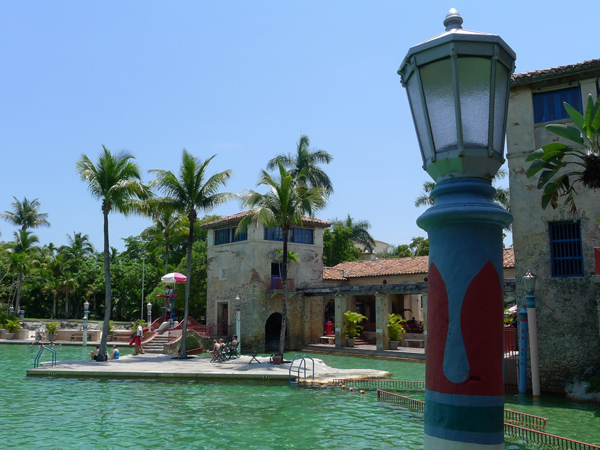 Terrazzo tiles and lighting modeled after maritime navigation light poles contribute to the romantic Venetian setting while coconut palms, Royal Poinciana, and bougainvillea nest the Pool firmly in Florida’s unique subtropical environment. 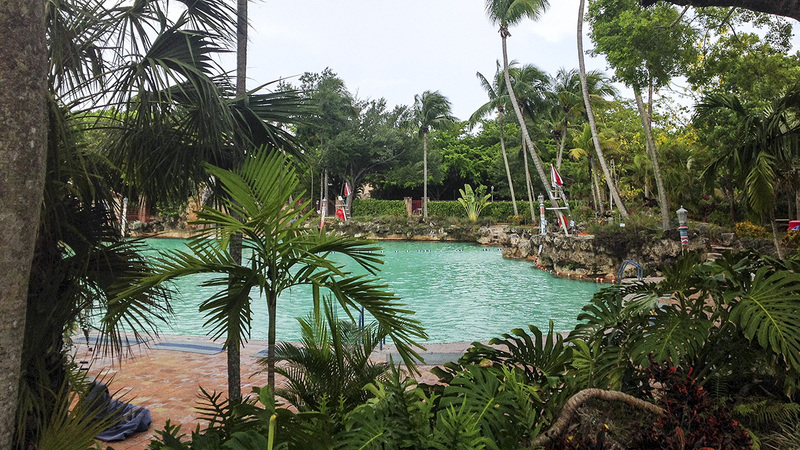 Fed by artesian wells and drained daily, the pool was retrofitted in 1998 with injection wells to sustainably recycle the water back into the aquifer. 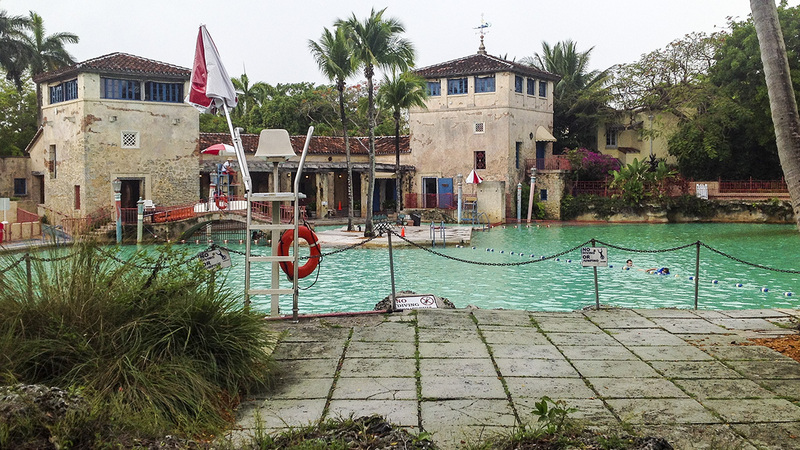 In 1981, the Venetian Pool was listed in the National Register of Historic Places.